Cross-stitching can be a very relaxing and rewarding hobby. I have been cross-stitching for over 15 years and I want to help more people enjoy this creative pastime. The following is a beginner’s guide to cross-stitching. When starting a new design, it is very important to know your skill level. 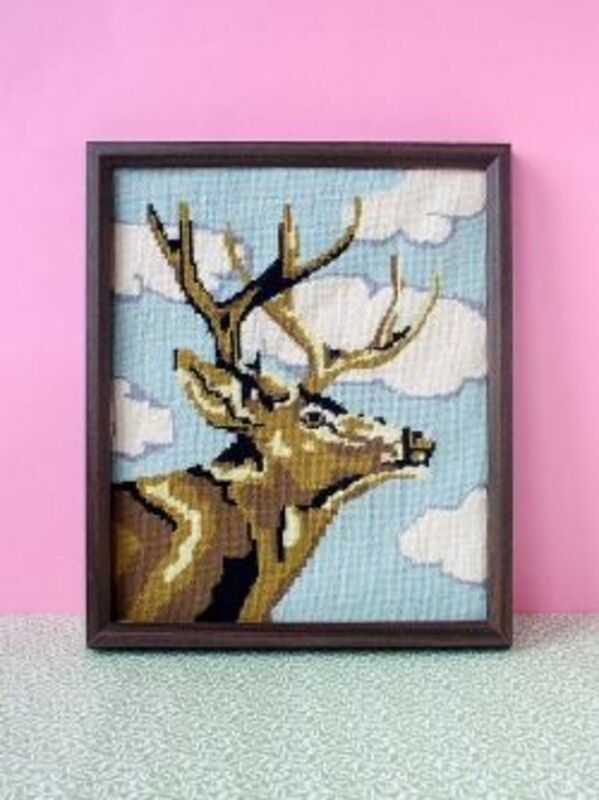 If this is your first time experimenting with cross-stitching you should choose a smaller design. The picture should be fairly simple with no more than 6 or 7 colors. Choose a print that really stands out to you or means something to you. By doing this you really look forward to the end product, and it will keep you from stopping halfway through and never picking it up again. The Canvas that you choose should be light colored (white, cream, etc.). It is much harder to use a dark colored canvas because the holes in the fabric are harder to see. The best type of cloth to use would be “Aida” with the lowest count they have. The best canvas for a beginner would be white 8 count Aida cloth. The count of a cloth is determined by inches. 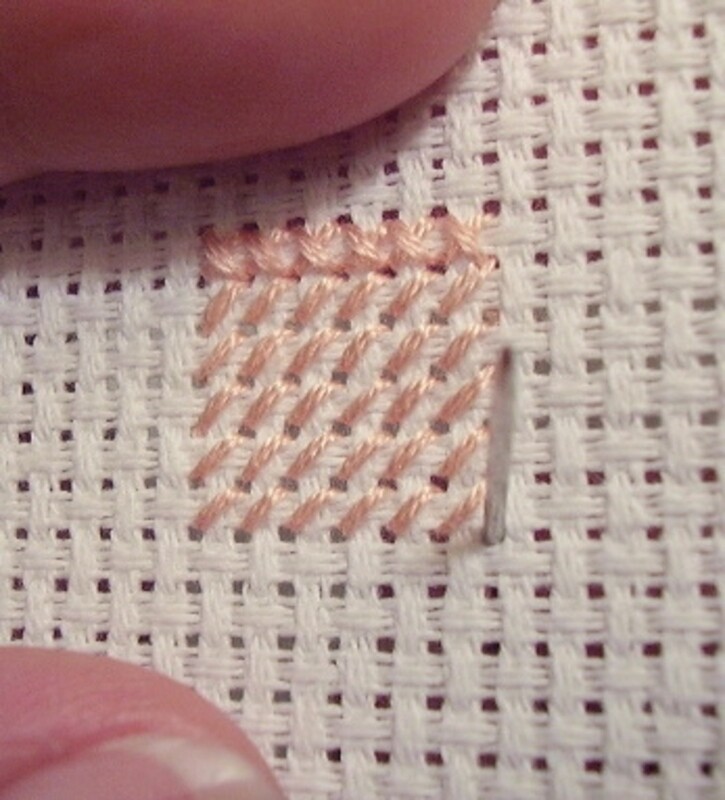 For example, a 14 count cloth has 14 stitches per inch. The higher the count, the smaller the needle holes will be. Again, beginners should use a canvas with large holes. The type of thread used for cross-stitching is embroidery. It comes with 6 single thread wrapped into one. The floss should be colorfast so that when you wash the final picture, the thread doesn’t fade. When you cut the thread, you should cut no more than 12-inch lengths. If the string is too long, it will have a tendency to tangle quite frequently. Find needles that have eyes large enough to fit 2-3 lengths at a time. The instructions will tell you how many lengths to use. While stitching you need to make sure the fabric stays stretched and taut. 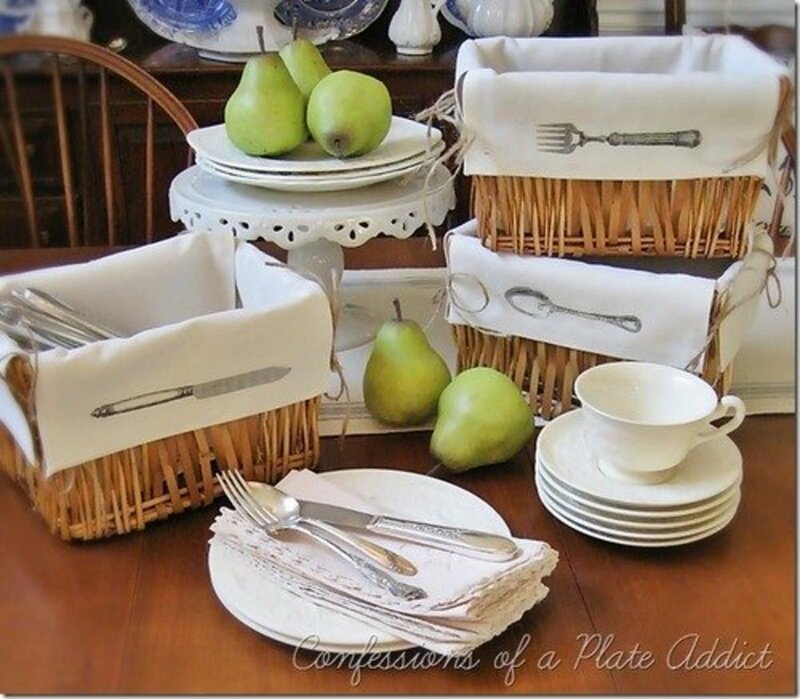 You can accomplish this by using an embroidery hoop. 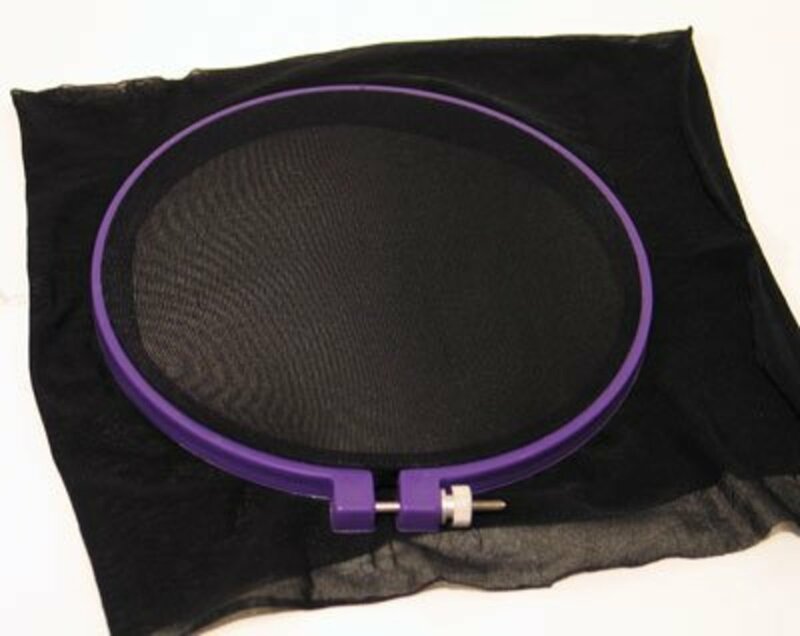 Make sure that you remove the hoop after every time you’re finished stitching. If you keep it on at all times then it will leave marks and indentions on the fabric. To keep the fabric from fraying at the edges you should put tape all the way around the fabric. Now, you need to find the middle of the cloth. You do this by folding it in half from top to bottom. Fold again from right to left (side to side). Mark the point with a washable pen and unfold the fabric. The pen mark will be in the center of the fabric. 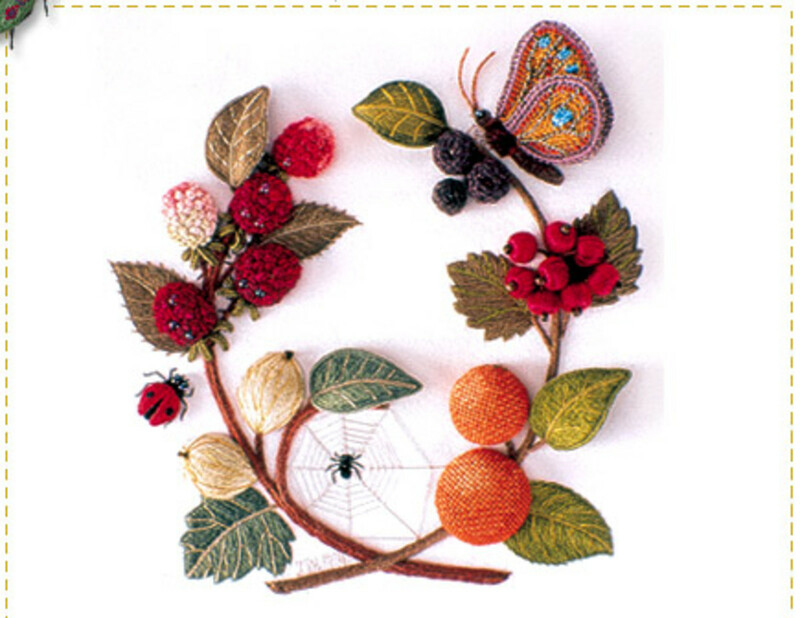 The main stitches a beginner will use will be cross-stitch, half-stitch, and backstitch. Half-stitch: When you find where you want to start pull the needle up from underneath first. The needle will be coming from the bottom left corner of the square. Make sure you leave at least an inch of thread in the bottom of the fabric. You will use this to hold on to when you’re making sure the thread stays in the cloth. DO NOT tie a knot in the thread. It is unnecessary and will leave the back of your pattern way too bulky. Holding on to the thread at the back of the fabric, put your needle through the hole at the top right of that same square. You have just created a half-stitch. Make sure when you start to make the next half stitch to anchor the inch of thread in the back by stitching over it. That way it will be forced to stay and you will not be able to pull the thread back out unless you need to. Cross-stitch: Cross-stitching is just putting a second half to the half stitch by making an X. After you come up through the bottom left corner and back down through the top right corner, like the half stitch, you continue by coming back up through the bottom right corner and down through the top left corner. Backstitch: Sometime you are required to do a backstitch and sometimes not. It is represented on the pattern by a dark line outlining the picture. You will usually only use one thread but your instructions will tell you what you exactly what to do. Come up through the bottom left corner and down through the bottom right. Continue this following the pattern. When you are ready to change to a different color just turn the fabric over to the back and slide the needle under the stitches you made and pull the thread through. Cut the floss but make sure you leave about a half inch of thread incase you need to come back and tighten it later. I tried to cover all of the basic information for beginning to cross-stitch but, if I left anything out feel free to ask me any questions and I’ll try my best to answer them. I also have no objections to people posting their own advice. Happy stitching! Looking for a cool new picture game to play on your Android device? Try Bust A Word Picture Quiz! Get it free on Google Play! Although I know the proper way to cross stitch is to stitch a row left to right; then go back and cross it, I have found that doing the whole X each time is easier. Also, it rips out easier...only have one stitch at a time to remove rather than a whole row. 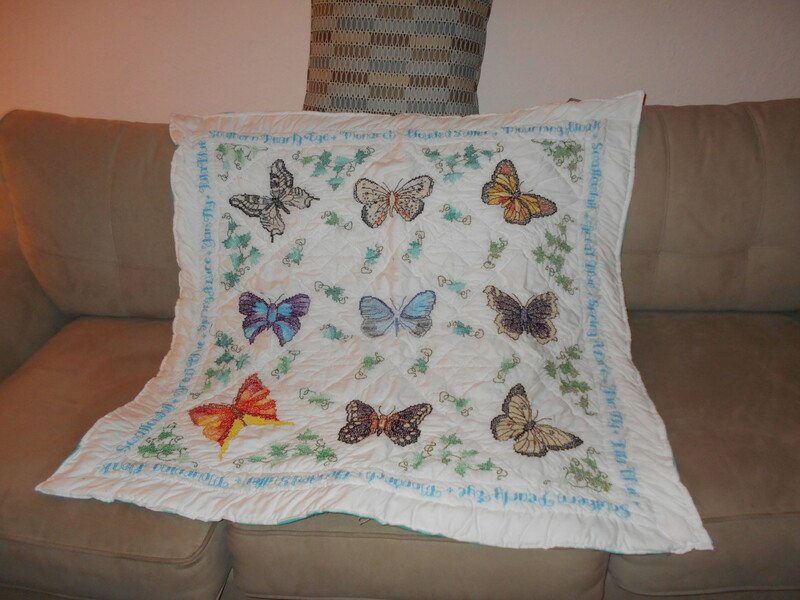 I have been cross stitching for many years always using stamped Aida and have wanted to learn counted cross but no one in my living area does cross stitching; basically everyone does quilting, knitting, crocheting, and bobbin lace all of which I do but quilting. Finding your post is very explanatory and so helpful. You simplified it so much I almost wish you made a video too. I would very much appreciate somehow of getting acquainted with you so I can proceed with success. You are truly unremarkable and so valued by all who are in my position. Thank you so very much. Hey, I just came across this and wanted to thank you for making it sound so simple! Your instructions were wonderful and clear.